In Tekken 7, you will experience the last chapter of the Mishima feud, which is now 20 years. In between, you’ll be able to collect a lot of cool stuff and you have to prove yourself in some arcade battles if you want to unlock the 100% achievements. In the game, you can adjust to ultimate battle that is astonishing with the aid of Unreal Engine 4. Besides, the exciting story provides you with some over-the-top action sequences. You can look forward to a total of 43 trophies in Tekken 7, which means 42 achievements. If you want to get all these achievements, then you have to play the main story and cause a lot of damage. You also have to put some great moves in the fights and earn 10,000,000 G.
Once stuck, never stopped again! 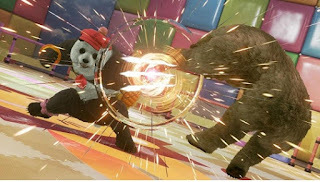 Tekken 7 is about winning, but you have to jump into different battles and defeat certain enemies. Below we will show you all the achievements, including the respective Trophy and a note about the unlock condition. - Yeah! I Did It! - Won a ranked game Online. - Not Bad - Won player match Online. - Okay! I’m Ready! - Won a fight in an online tournament. - Come And Get Some, I Dare You! - Involved in ten online battles. - Instant Annihilation - Won three times in a Treasure fight. - You Think You’re Tougher Than Me? - completed prolog of the main story. - You Challenge Me?! - completed chapter eight of the main story. - I Demand To Know The Truth! - completed three character episodes. - Cool! - Collected 20 treasure chests. - The Prosperous Inevitably Decline - Defeat Akuma in an arcade fight or a special battle in Treasure Combat. - Fear My Wrath - Defeat Devil Kazumi in an arcade fight or a special battle in Treasure Combat. - This Should Be Fun - Got promoted to first dan. - Don’t Hold Anything Back - Defeated 20 enemies with a higher rank. - It’s Just Business - Received a total of 5,000,000 G.
- Wow, I’m Pretty Strong! - Completed three special games in Treasure fight. - Let’s Do This - completed chapter one of the main story. - I Can’t Accept This Fate - completed chapter thirteen of the main story. - Master Of Iron Fist - Completed special chapter of the main story. - Lightning Of Fate - Completed 10 character episode storied. - Roar! (Nice Moves!) - Got promoted to Brawler. - Excellent - Received a total of 10,000,000 G.
- It’s Time For You To Meet Your End! - Watched the Epilogue of the main story. - Hot-Blooded Fighter - Got promoted to Warrior.